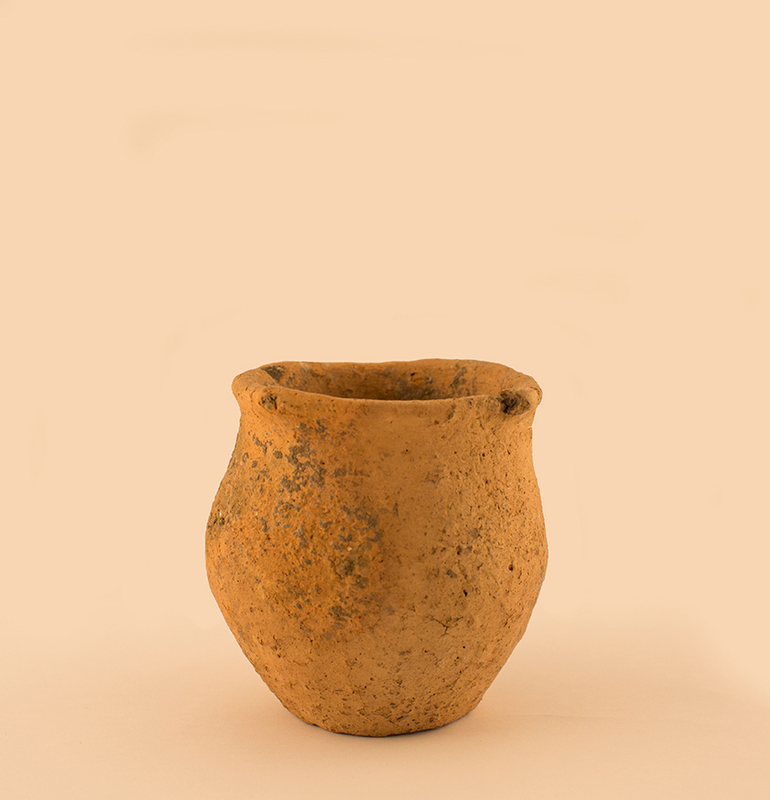 Small pot, found in 1982 in the tomb of cremated deceased while digging the foundations for a weekend at the site of the old village in Omoljici. Middle-Late Bronze Age, a mixture of elements of different cultures, Transdanubian ceramics and culture of burial mounds (Hügelgräber), late II millennium BC Inv. no. A 2835.